What does it take to decode teenage America? How can we understand the confluence of factors behind rising crime rates involving our youth, changing sensibilities toward bullying, and violence in our society? Better yet, how do we inform ourselves and support young people in finding the facts? Every day I read articles asking these questions, and a San Francisco woman has devoted the last few years researching their answers. A passionate supporter of social causes, a civic voice sounding our shifting cultural landscape, a wonderful mother, and a brilliant writer — meet Beth Winegarner. Creator of Backward Messages, a forum openly discussing social elements that feed violence in teen culture, and the media that perpetuates myths around them, Winegarner doesn’t hold back. She takes on sacred cows that have always clouded adult judgment where youth behavior is concerned — heavy metal, video games, the entertainment industry, and the occult. Her work deconstructs every façade that informs our policy, parenting, and perspectives on teens. Not stopping to just debunk socially accepted truths about teens behaving badly, her platform goes on to highlight the real issues creating problems. Among them she cites lack of mental health support, parenting, and in some cases, healthy social communities. Having interviewed people from all walks of life to understand what creates the cultural myths of violence surrounding teens, a big trend noted in her work is young people turning from organized religion to earth-based belief systems. According to Winegarner, teens by nature “break away, to seek their independence and try on new things, because they’re in the process of learning who they are.” She noted that often those raised with a specific religion may strike out from that religion simply because it’s been a part of their lives and their families for so long. Teens raised without a specific spirituality may seek one out because they want something new. Her research revealed more specific drives toward open spirituality than just innate rebellion. Drawing from the work of David Kinnaman and Gabe Lyons in their book unChristian, of the majority religion, Winegarner noted that a lot of teens have “lost respect, because they find [Christianity] anti-homosexual, judgmental, or hypocritical.” However, this transition to a nature-based religion only reinforced a seeming turn to the dark side. Of course, it’s anyone’s guess as to the intentions of such media influences, though their effects often work as deterrents. “You have religious leaders claiming that the Internet makes kids more prone to demon possession just by dint of the fact that it makes information about non-traditional religions more readily available.” That said, she noted that media such as books, films, or TV shows don’t necessarily change someone’s belief system or spiritual path. Her studies showed that while such may introduce young people to new possibilities, they were already open to change. “I don’t know that they have much of an influence on shaping most teens’ beliefs, though they can be a catalyst in opening them to different modes of spirituality. A book like The Mists of Avalon or a show like Charmed might introduce someone to Wicca as an alternative path worth exploring.” She goes on to say that media certainly can play a role in spiritual change, and everyone’s got their own opinion whether that’s a good thing or bad thing. 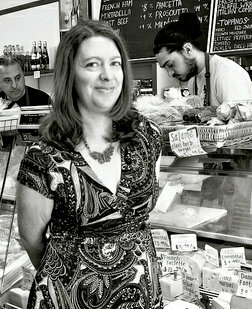 Learn more about Beth Winegarner and her publications at bethwinegarener.com. Arm yourself with information at backwardmessages.wordpress.com.